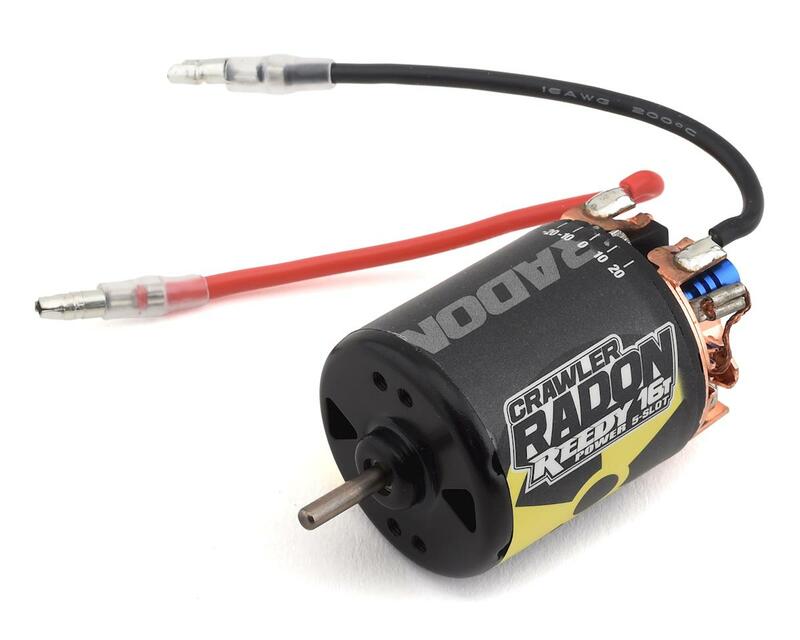 The Reedy Radon 2 Crawler 5-Slot Brushed Motor delivers a smooth powerband for precision control while traversing steep, uneven, or rocky terrain. 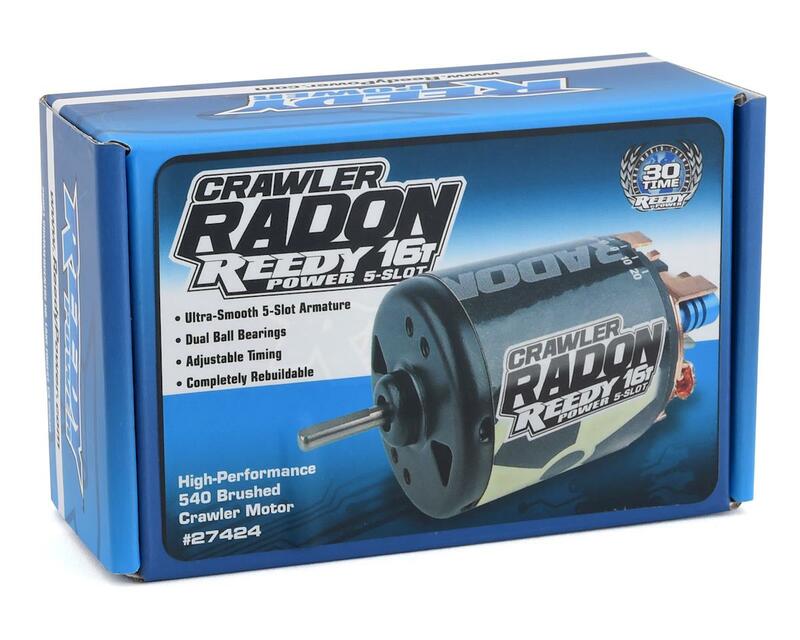 Dual ball-bearings improve performance and reliability while adjustable timing allows for adjustments to compensate for different drivetrain configurations that require reverse motor rotation. 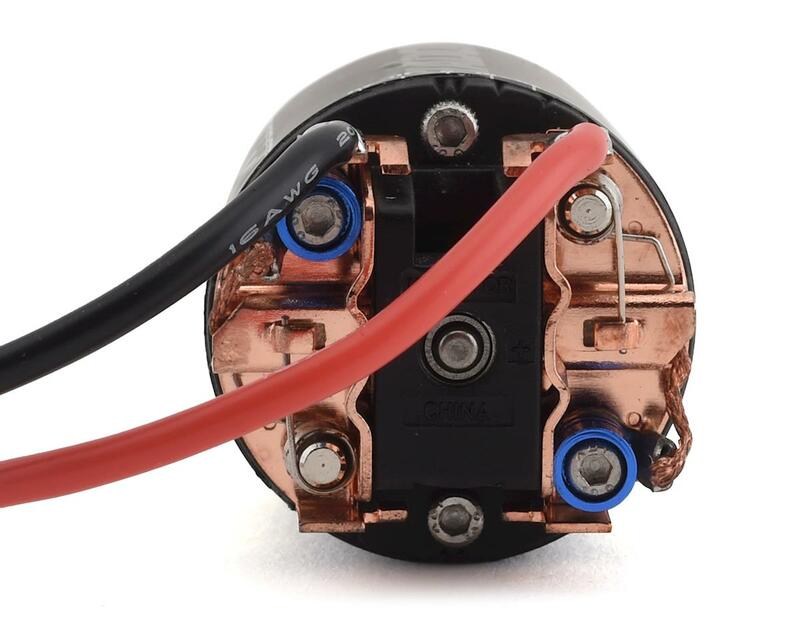 These features together result in a powerful, reliable, economical, and versatile choice for those who prefer brushed motor power.